Posted May 4, 2017, 7:17 a.m.
Posted Jan. 17, 2017, 7:35 p.m.
Kenia Buckner, a 31-year-old black woman, was shot and killed Monday, Jan. 16, in the 16200 block of Cornuta Avenue in Bellflower, according to Los Angeles County authorities. Buckner was home with her three children around 1:35 p.m. when her ex-boyfriend, the children’s father, walked into her apartment, said sheriff’s Lt. Joe Mendoza. “In front of their children, in their living room, he pulls out a gun and fires toward the victim multiple times, striking her at least one time in upper torso,” Mendoza said. Buckner was pronounced dead in her living room at 1:48 p.m., Mendoza said. Investigators are searching for the ex-boyfriend, identified as Antowan Parker, a 27-year-old black man, who was last seen running south on Cornuta after the shooting, Mendoza said. No one else was injured, Mendoza said. Neighbors and family told KTLA-TV that the children, the oldest of whom is 7, ran into the street after the shooting. “I heard gunshots, like just a boom while I was taking out the trash, and then I heard kids screaming,” a neighbor said. 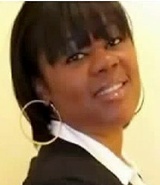 Friends told KTLA that Buckner worked as a hair stylist while attending college to become a nurse. “She’d go to work; she’d go to school; she’d take care of the kids,” said Melanie Gammage, crying as she remembered her friend. — Alaysia williams Oct. 4, 2018 at 4:03 p.m.
— Melanie Gammage May 6, 2017 at 9:07 a.m.
— Debbie Buckner March 2, 2017 at 6:08 p.m.
— Abri Jan. 20, 2017 at 10:06 a.m.